Egypt and China are expected to sign a number of agreements during President Abdel Fatah al-Sisi’s visit to China for the ninth annual BRICS summit. One of the agreements will reportedly include the funding of the electric train project between Salam City and the New Administrative Capital, and another agreement will entail the establishment of Egypt’s second satellite “Egypt Sat 2” with a Chinese grant of 300 million Yuan ($45 million). China is establishing the electric train with 11 stops, and providing the wagons with a $740 million loan, to be repaid throughout 15 years, with a grace period of five years, MENA reported on Sunday. The construction of the electric train will take three years, but Egypt’s president has asked the Chinese company to reduce the period of execution to two years. Sisi said earlier in July that the project will provide a safe and modern means of transportation for commuters between Greater Cairo and the New Administrative Capital. It will also facilitate the transport of goods and production materials to and from the cities and industrial areas located along the railway line. The electric train will connect with the third line of the subway in Salam City, linking the cities of Greater Cairo, Obour, Shorouk, Badr, and the New Administrative Capital through the 10th of Ramadan City. The Chinese investments in the New Administrative Capital included $3.2 billion invested in the second phase of the project, Osama Magdoub, Egypt’s Ambassador to China said in a televised interview on Sunday. 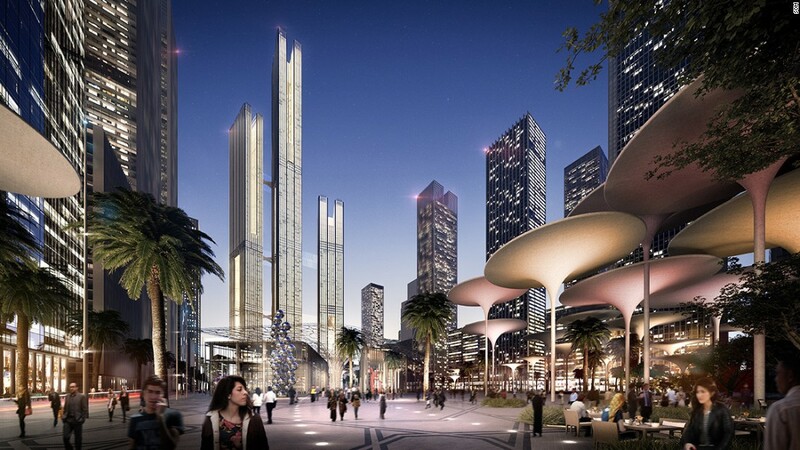 Moreover, he said that investments worth $8 billion will be implemented in the new capital over the next 10 years. In the interview, the ambassador added that one of the mega Chinese companies, which established an industrial zone on an area of 60 kilometers, was granted an additional six kilometers. Sisi left Cairo Sunday heading to the Chinese port city of Xiamen for the summit. China invited Egypt, along with other five non-members states, to attend. Economic relations between Cairo and Beijing are deemed strong. The volume of trade exchanges between Egypt and China recorded $5.178 billion from January to June 2017. China’s exports to Egypt decreased by 20.79 percent year-by-year to $4.518 billion, while Chinese imports from Egypt increased by 298.37 percent to reach $660 million. Bilateral trade between Egypt and China is expected to grow further, as Egypt officially joined the 2015 the Silk Road Economic Belt trade union, which encompasses 92 Chinese and foreign associations.